Google’s annual I/O conference for developers takes place next month in San Francisco, and it looks like wearable computing will hog much of the limelight, along with an emphasis on better design. Google published the schedule for the show on Friday, and it provides lots of information about what to expect next month, along with clues about where Google’s priorities lie at present. While the event is aimed at developers, there are reasons for other folk to pay attention as well. Google I/O, after all, is where the company launched Google Glassa couple years ago, and there’s no telling what surprises it might have up its sleeve this time around. One thing that’s not surprising: Wearables will be big. Google launched its Android Wear software a couple of months ago, and it will give developers tips about the types of devices and apps they can build—watches are the initial target—and how to go about it. 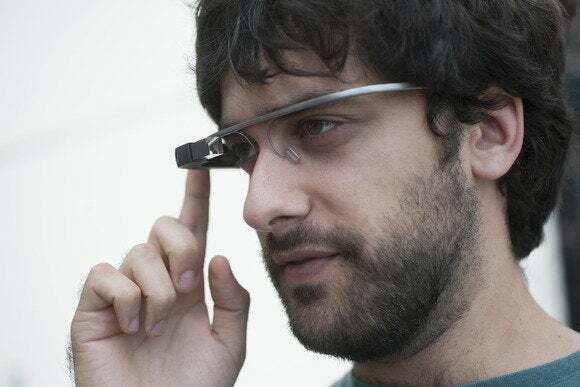 Google Glass figures to be a big topic of discussion at Google I/O next month. There are also several sessions about Google Glass, which has started to be soldmore widely. One of the sessions, “Hack Your Glass,” will show developers the tools and APIs (application programming interfaces) on offer to build more creative apps for the device. Another session focuses on Polymer, a software kit launched at last year’s I/O that Google says will “revolutionize” the design process and “create the UIs of the future.” Still other sessions explore color palettes, iconography, typography and the use of photography and illustration in software design. With the possible exception of its minimalistic homepage, Google hasn’t really been known for beautiful design in the past—that’s been more Apple’s domain. But with more and more hardware to its name, including Glass and the Nest smart thermostatit bought recently, that needs to change. There’s even a session on a “Nest developer program,” which could delve into how developers can link Nest to other apps or devices in the home. One topic that seems to be absent from the agenda is Google+. There’s been a lot of speculation about the future of Google’s social network ever since Vic Gundotra, who led its creation, left the company last month. Some expect it to be repositioned as an identity platform for providing access to other Google services. Whatever the case, don’t expect much emphasis on it during I/O.